At Syntelli, we love celebrating the success of our colleagues! 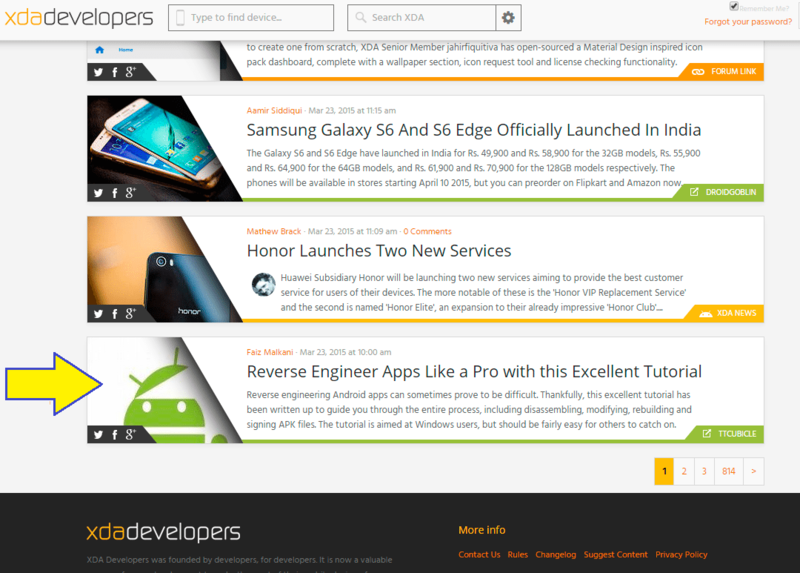 Recently, one of our data scientists, Sean Moriarty, had one of his blog posts featured on the homepage of XDA Developers [pictured here], a website created by developers, for developers, as a resource center to share knowledge on making the most of one’s mobile devices. Read the intro below and follow on to Sean’s post, to learn how to reverse engineer closed source android applications. In my recent studies in reverse engineering android apps I have taken to learning the smali assembler/disassembler. It is my opinion that smali is a powerful tool and learning its syntax and usage will open many doors for you in the world of reverse engineering Android applications. Through scraping the internet I found it very difficult to find an article covering the process of disassembling, modify, rebuilding and signing apks. In this post I hope to cover the basics and give anyone who is interested the knowledge needed to start tinkering with android apps.